Our homeschool co-op ran for a couple of years and was a lot of fun. I wanted to share my ideas for incredible experiences and group field trips! Remember that sometimes, if there is a cost involved, places will organise a homeschool or group discount! You’ve done a great job of listing an abundant amount of ideas. I will pin this now. Hi! Do you do one item from your list each time or spend a month with each item? Great post! 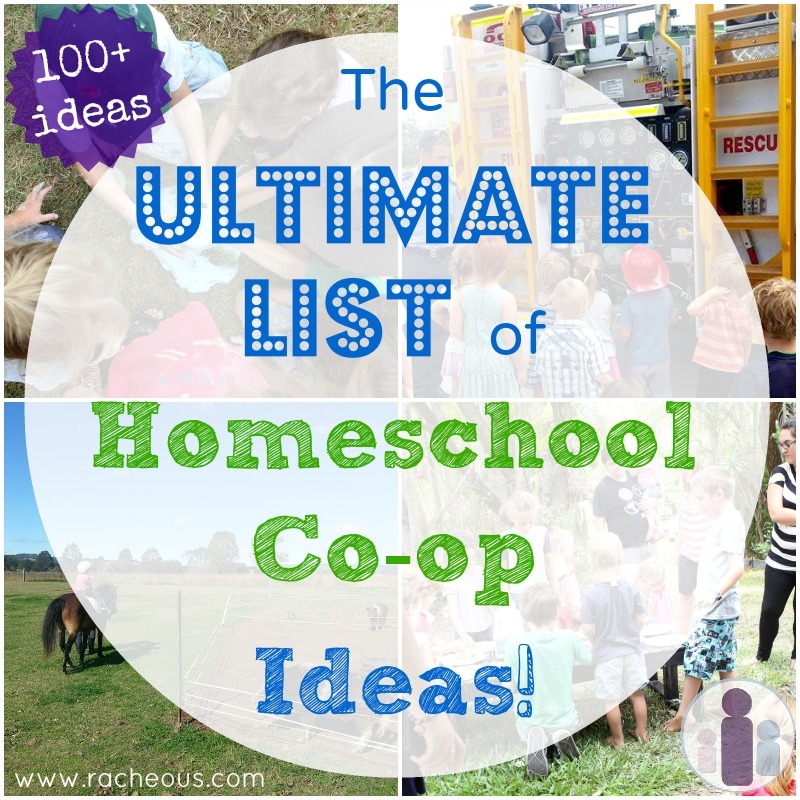 Homeschool co-ops offer a great chance to hang out with people that have something in common with you. I love to do party which is a great way to help everyone to connect. Thanks!